Pastor Doug Knutson-Keller was born in Othello, WA and baptized into Pilgrim Lutheran Church in 1962. He grew up in Olympia and was confirmed as a member of the Lutheran Church of the Good Shepherd. Doug earned a Bachelor of Arts Degree in Psychology from Pacific Lutheran University and worked for several years in the Pierce County Juvenile Court System. Attending Pacific Lutheran Theological Seminary in Berkeley, CA, Doug met and married his wife Molly. They both graduated with Master of Divinity Degree’s in 1996 and served calls in San Diego, CA. Pastor Doug accepted the call to Gloria Dei Lutheran Church and moved with his family to Olympia in May of 2009. Pastor Doug feels welcomed and at home at Gloria Dei and knows you will feel the same. Molly Knutson-Keller spent her early years in Bemidji, Minnesota. After graduating college from California Lutheran University in 1990, she joined the Lutheran Volunteer Corps in Washington, D.C. where she worked at a medical facility for homeless men and a day center for homeless women. Molly’s first call was to Bethlehem Lutheran Church in Encinitas, CA after graduating from Pacific Lutheran Theological Seminary in 1996. Later, she served as campus pastor at San Diego State University before moving to Olympia. A few of Molly’s favorite things: family time with Doug and their kids, Washington state, walking and swimming, good books, good humor, and PEOPLE. Molly is grateful for the opportunity to serve in ministry with you all at Gloria Dei! Justin Snider is a native of Western Washington, grew up in Puyallup, and graduated in 2003 from Trinity Lutheran College with his Bachelor’s of Arts in Youth and Family Ministry. He is also called as a Deacon through the ELCA to Gloria Dei. His hobbies include playing with his two boys, listening to music, technology, Geocaching, backpacking, Ultimate Frisbee, and reading. He sees youth ministry as a career and is excited to be doing ministry at Gloria Dei Lutheran Church that is rich with God’s presence. 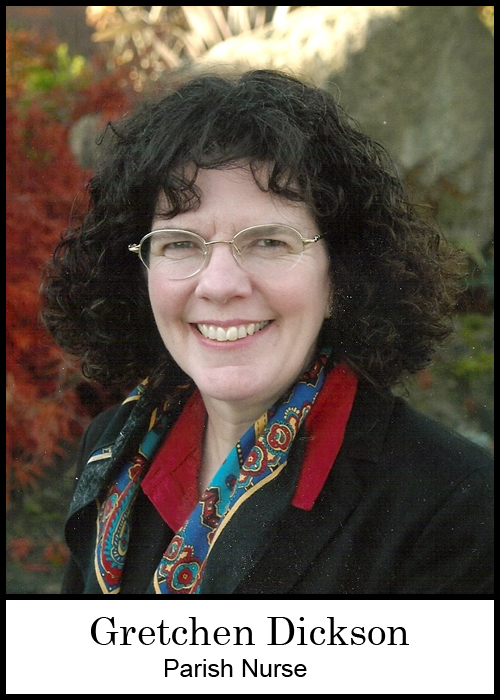 Beth has been working with children and music at churches since 1979, and holds a Bachelor of Arts degree in Elementary Education from Pacific Lutheran University. 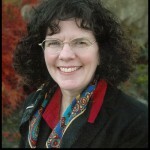 She is a member of the Lutheran Association of Christian Educators, and Choristers Guild for which she serves as the Board President for the Washington State Chapter. She was the founding Board President for Gloria Dei Lutheran Preschool, and introduced the Workshop Rotation Model of Sunday School at Gloria Dei in 2001. She continues to develop curriculum for both Sunday School and Vacation Bible School and is responsible for supporting education, fellowship and service opportunities for children ages infants through sixth grade. In addition, Beth directs three children’s choirs at Gloria Dei for ages two through sixth grade. Beth loves working with children, helping them to make connections with Bible stories and God’s love for them, and supporting families as they help their children grow in faith. She has been a member of Gloria Dei since 1996 and lives in Olympia with her husband and three children. Dan Colgan is a graduate of Westminster Choir College in Princeton, NJ. He has been with Gloria Dei since November of 2010. Previously, he served as Director of Music at Redeemer Lutheran Church in Jamison, PA from 2005-2010. Dan is the current dean of the Olympia chapter of the American Guild of Organists. He also serves as the Assistant Director of the Olympia Choral Society, as well as the director of the men’s ensemble for of the Olympia Youth Chorus, “Forza.” Dan also teaches voice at Centraila College, and maintains a studio of private voice and organ students. He hopes that as a church musician and music educator, he can continue to spread his love and appreciation of music to others. Kim Tovani was born in Ft. Lauderdale, Florida and went to Baptist churches while growing up in Virginia, Oklahoma, Missouri and Arizona. She graduated from the University of Arizona in 1987 with a General Studies Major (minors in Business, Philosophy and Sociology). In December 1987, she graduated from the paralegal program at University of San Diego. After meeting her husband Todd at the U of A, they were married in June 1988. She worked full time as a paralegal until her first child was born in August 1998. Since then, she has continued to work part time as a paralegal. In the spring of 2001, she volunteered to form and lead a band to provide musical leadership for our new monthly contemporary worship service. By 2005 it had become a weekly Sunday morning worship service. In the fall of 2010, the church council created a staff position for NewSong Worship Band Director and Worship Leader. Kim feels blessed to work with such talented musicians and absolutely loves supporting our church and praising God through music. 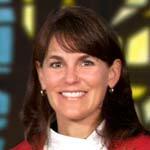 Beth Heitz is the Executive Assistant for Gloria Dei Lutheran Church. She and her husband Rich have been members of Gloria Dei for approximately 38 years and she has been on staff here for about 16 years. Beth feels that most rewarding part of her job has been the ability to work with and for the wonderful people that make up the congregation of Gloria Dei Lutheran Church. An Olympia native, Barb was raised in a large family, the sixth of eight children, on Olympia’s westside. After graduating from Western Washington University with a degree in Psychology, Barb found a church home at Gloria Dei in 1983. She joined the office staff at Gloria Dei in 2000 where she loves knowing and caring for her church family. She and her husband David have two college age children. Marci has been working with young children for over 20 years. She graduated from WSU with a degree in Elementary Education and life experience raising her daughter Skye (now grown). Marci’s youngest daughter, Ally, attends WSU. Marci worked for the South Sound YMCA from 1998-2012 and was nominated as a Champion for Youth. 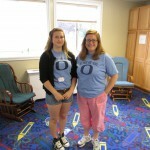 Marci has taught classes for Preschool, Youth and Teens at both branches as well as the Childcare Department. She has been lead teacher in 1-2 & 2-4 year old classrooms. As an Integrated Arts Specialist, Marci loves teaching dance, drama and music. She is happy to call Gloria Dei her faith home.